With his own government under attack over agrarian distress in several states, including Karnataka, PM Narendra Modi sought to assuage the concerns of the farming community. Bengaluru: Prime Minister Narendra Modi today came down hard on the Siddaramaiah government in poll-bound Karnataka for being "indifferent" to farm distress and not implementing the crop insurance scheme effectively and stressed that welfare of farmers was his government's top priority. With his own government under attack over agrarian distress in several states, including Karnataka, PM Modi sought to assuage the concerns of the farming community. "I keep getting complaints regarding Pradhan Mantri Fasal Bima Yojana from Karnataka, but one of our MPs has done a great work in his constituency with the help of Kisan morcha workers,"he said. He, however, did not name the legislator. PM Modi said that had the state government been proactive, it could have tackled the drought and helped farmers to tide over the loss. The Prime Minister had on Tuesday launched his campaign blitz in the state where he addressed three back to back rallies. He will be in Karnataka again tomorrow. "You have to give them the confidence that there should now be a government that is sensitive about them, that understands their problems. The welfare of farmers is our primary responsibility," he said. Assailing the Siddaramaiah government for its alleged failure in tackling drought, PM Modi said instead of mitigating the suffering of farmers, it gave parched lakes to builders for construction activity. Calling BJP's chief ministerial candidate BS Yeddyurappa a "farmer leader", PM Modi said his vast experience and commitment to the farming community will strengthen the Centre's mission to give a fresh impetus to agriculture. Talking about the "integrated and holistic" approach of his government towards agriculture and farmers, PM Modi said from land and water conservation, to making available good quality seeds and electricity, his dispensation looked at them carefully. 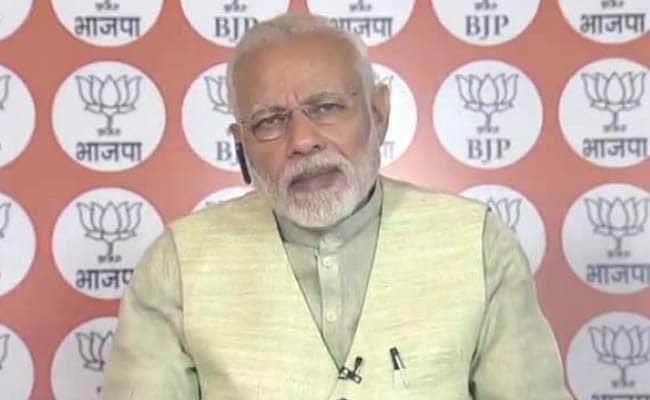 Responding to a question by a Kisan Morcha activist, PM Modi said the 'karyakartas' (workers) should tell farmers with confidence that their income will be doubled by 2022.